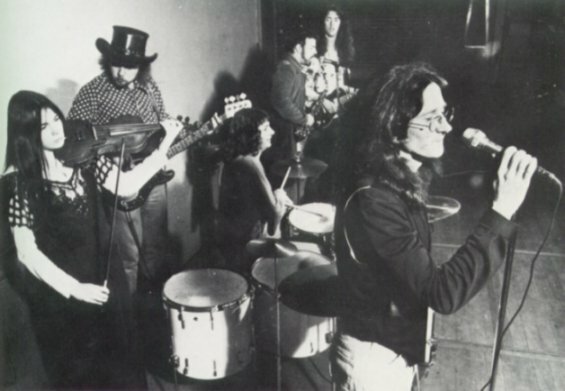 In December 1969, after Original Sin had folded, Simon Morris and Bill Lake, from that group, teamed up with Tony Backhouse to form an acoustic trio called Mammal. 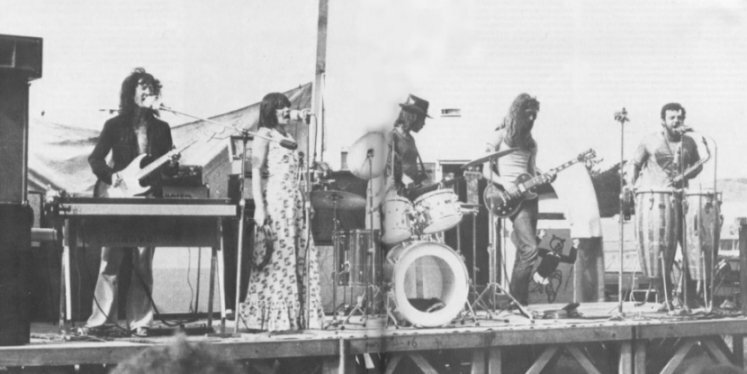 Early in 1970, with Backhouse playing bass guitar, Mark Hansen, who had previously played with Abdullah's Regime, was added to the line-up to play drums, and the group turned electric. Bill Lake, who liked acoustic and had set up a part-time acoustic group, the Windy City Strugglers, while playing with Original Sin, now used this group as his outlet to continue his acoustic activities, while continuing to play with Mammal. All the members were students at Victoria University. Up until this time, there had been very little effort to present rock music on campus. While playing as Original Sin, they never actually played on campus. Graeme Nesbitt, another student at the University had a lot to do with changing that situation. He was actually a folkie who later gained national exposure as a member of Country Deal, who were finalists in the 1971 Studio One Series. He formed the Blues-Rock Society at the University and playing at this was regarded an important gig by most of Wellington's bands. During most of 1971, Mammal didn't do many gigs as its members were trying to concentrate on studies. This soon changed in 1972 when Graeme Nesbitt took over management of the group. This brought about a line-up change with Simon Morris leaving to form a soft-rock band called Tamburlaine. Simon was replaced by Robert Taylor on lead guitar. He was from Waipukurau and had also been a Victoria University student, but had dropped out. He had been occupying himself doing some solo gigs, occasionally playing with the Windy City Strugglers and fronting a country rock band called Chum. With Morris's departure, Tony Backhouse moved to keyboards, allowing another of the old Gutbucket group, Steve Hemmens, to join the group on bass. While playing more gigs than they used to, they still concentrated on studies, but when opportunities allowed, they did manage to play on campus at New Zealand's other main Universities at Auckland, Massey and Canterbury. The group boasted three songwriters, so this gave them quite a wide diverse range of music for their repertoire. Although playing basically dance-orientated music they soon got a reputation for being an arty band. It was not often that New Zealand rock bands comprised of members holding University degrees. In mid 1972, Mammal's arty reputation saw them getting involved with poet Sam Hunt. He was a poet who was beginning to reach a wider audience, selling his books in numbers not previously heard of for a New Zealand poet. He has befriended Backhouse and he introduced Sam to the other members of Mammal. The result of this meeting led to a series of varsity concerts featuring Mammal with Sam Hunt as guest. Initially Sam would read poems between sets, but this evolved into concerts with poetry with musical accompaniment. These concerts were so successful that the concept was captured on record and an album was released before the end of 1972. 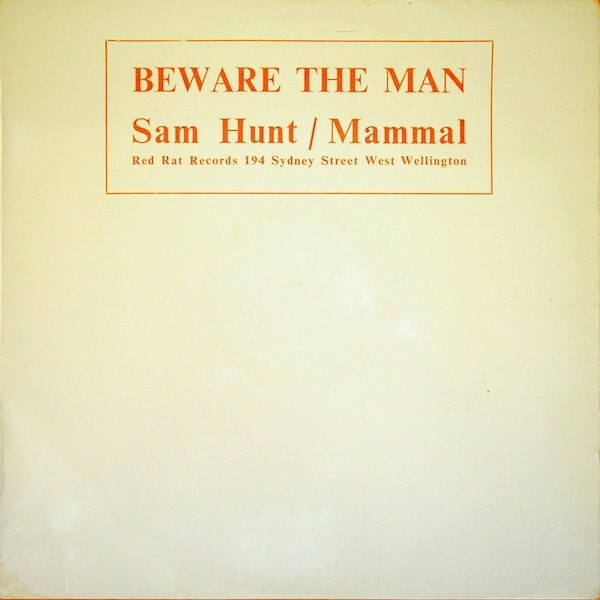 The album was called "Beware The Man" and released as Sam Hunt and Mammal. Also an EP came out called "Sandshoe Shuffle (Selections From Beware The Man)". This new line-up, along with Lake's Windy City Strugglers, Sam Hunt and Tamburlaine, took off on a very successful Universities tour. Mammal also invested in an old bus and in December 1973, hit the road for a mammoth four month tour, taking them from Kerikeri in the north, right through to Westport in the south. Although the idea of self-promoted tours had been pioneered by Blerta, it was Mammal manager Graeme Nesbitt who brought a professional approach to the practice. Nesbitt would arrive in town two or three weeks before the band, hire suitable premises, place newspaper ads, distribute posters, and organise publicity. Halfway through their North Island tour, the bus died an overworked death and all their subsequent bookings were cancelled. Instead they took up a residency at Wellington's Speakeasy Bar. This was a different audience to what they had been used to and it didn't prove very successful. Unrest grew strong within the group and the end was near. They played a farewell concert at the Wellington Opera House in September 1974. Apart from their output with Sam Hunt, the group only ever released one single in 1973 called "Wait"/"Whisper". Peter Bleakley and Rick Bryant both made appearances with one of the many combinations of Blerta. Tony Backhouse and Peter Bleakley were later to appear in Spats. Both Taylor and Jacobsen went on to play with Dragon. This came about because Graeme Nesbitt became Dragon's manager.